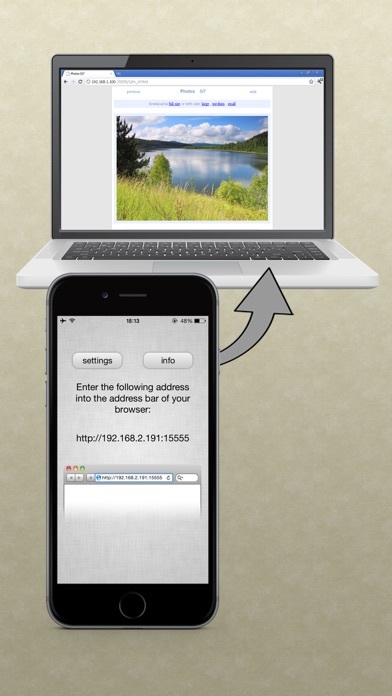 Easily access your photo libraries via wifi from any computer with a web browser! 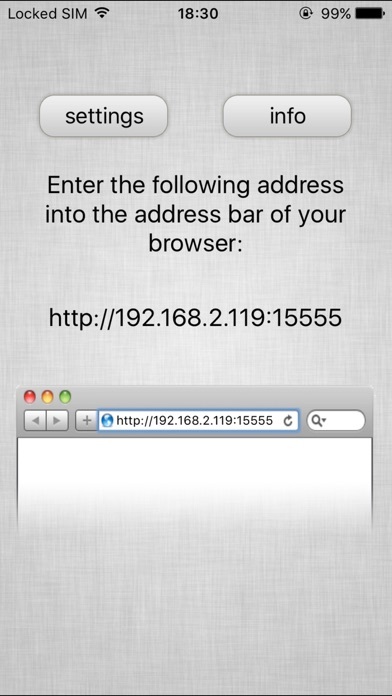 Just start the app and enter the displayed address into the address bar of your browser. Works with any computer that has a modern browser (like desktop or portable computers, iPads, or even an other iPhone) and is on the same wifi network as your phone, iPod or iPad. - You can select and transfer multiple photos at once - EXIF metadata is retained in mass-download mode (not in one-by-one mode) - Optional password protection for the web interface - Can also be used to download videos - Transfer in full resolution or scaled down - No extra software required It's simple yet useful. And it's free. DO NOT USE. Will crash computer after using it. I was looking for a way to back up my iPhone photos and this is perfect. Only thing to remember is to change encoding if you want them as jpegs. Nice job! I was skeptic at first but this works wonders. Wish you could do more then 200 at a time but I’ll make due. I was able to download my other smaller albums quick and easy via .zip. No hassle, thanks!! What is up with .heic files??!! Just used app for first time with lots of pics then tried to look at them on computer but couldn’t even open the few that were jpg!! Almost all were .heic ??! !Also looked like junk website tried to dload too! 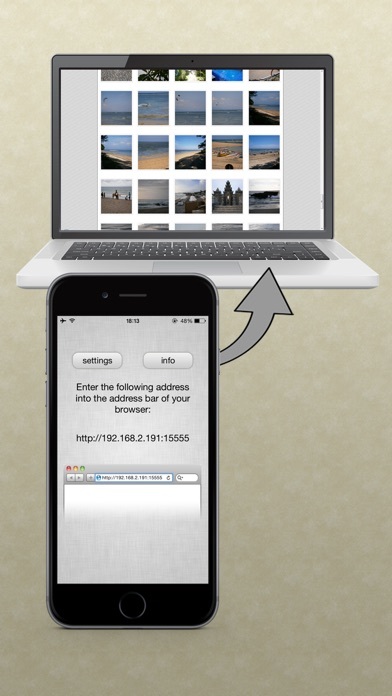 Great tool for transferring photos from your phone to a computer. Easy to use. Does require phone and computer to be on same WiFi network. Does a great job at what it does! Want to quickly pull your photos over to any computer? If you’re on the same WiFi network, done. Super easy and all you need is a web browser on the PC. 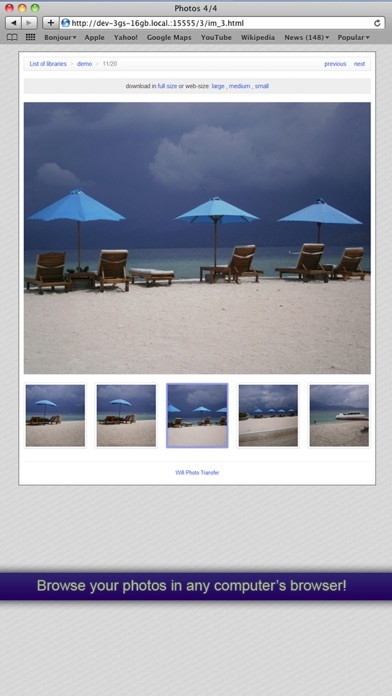 The app even resizes the images for you. I’ve used it for years and it has always worked perfectly.